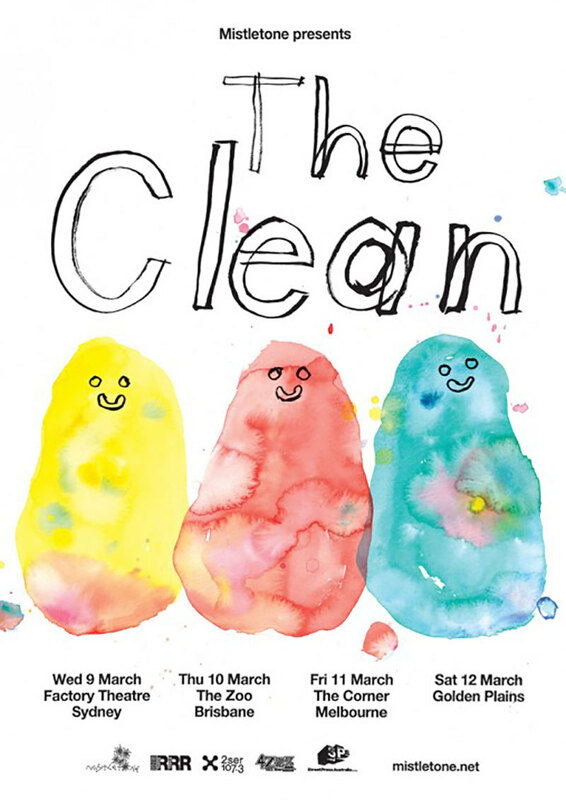 The Clean played two shows in London with The Bats. The first was at Portlands on July 12 with The Dentists in support. A second performance followed on Wednesday July 13 at Fulham Greyhound with Jed Town of Fetus Productions’ ICU third on the bill. We know this because the New Zealand Herald commissioned a story on the event, which ran in the conservative Auckland daily under the headline “Clean Up In London”. It was illustrated with a Chris Knox cartoon depiction of The Clean with no instruments, which first appeared in a promo package for their 1981 Boodle Boodle Boodle EP. All of which left the group’s New Zealand based fans, past and present, a little put out. The situation was soon remedied by a national main centres NZ tour in May 1989, on which The Clean drew 1100 fans in Dunedin and 500 in Christchurch. The Auckland show at The Powerstation was sold out, with fans snaking out and down the footpath outside. I only just made it in the door by cutting the line, something I hadn’t done before and haven’t done since. Writing the concert up for Waikato University student newspaper Nexus, I noted, “From the opening ‘Dadadada … daddada … da’ of ‘Fish’ with its shards of reverbed picking and white noise strum, The Clean took the capacity crowd down a rollercoaster of extreme treble nostalgia. The guy standing next to me collapsed three songs into the fray … yep, it was that good.” The set also featured some of the 15 new songs that The Clean had written. Then it was on to Australia, America, Europe and Great Britain, a full-blown international tour with Chris Knox along to help. Returning to the London Fulham Greyhound, The Clean drew a 600-strong audience of New Zealanders and hip Londoners, including Geoff Travis, head of Rough Trade Records. His indie label was already well respected in New Zealand, where many of its releases were available. Travis hadn’t heard of The Clean before the show, although some of his staff had. What he heard that night moved him to finance a new album, Vehicle, featuring 13 of those 15 new songs, which relaunched the trio in Great Britain, Australia, Europe and the United States. As the British journalist penning the NZ Herald article noted, it was all a little strange given the group were playing a form of acid pop and rock at the height of Acid House. When the tour ended, The Clean entered Blackwing studio in South London, where the Jesus and Mary Chain had just finished a record. Over four days from July 18 to 21, they recorded Vehicle with Ken Kennedy and Alan Moulder. “It was all recorded live, the way we’d done all the records. 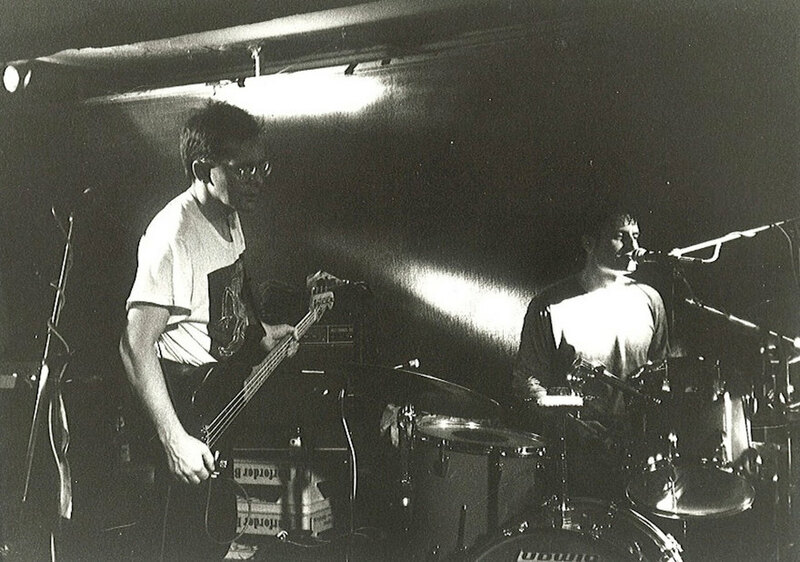 We set up, blasted through the songs, did a day’s worth of guitar and keyboard overdubs then a day of vocals, a day of mixing and it was all done,” Robert Scott told Ian Henderson of Dunedin fanzine Alley Oop in spring 1989. Asked about The Clean’s future plans, Scott ventured: “We haven’t got any more plans to do Clean stuff unless Rough Trade want us to come back and promote the record in England. I don’t think we’ll play NZ again.” Which said more about The Clean’s relaxed approach than actual events to come. Rough Trade Records found the money for a tour, following Vehicle’s British, American and Japanese release in March 1990. 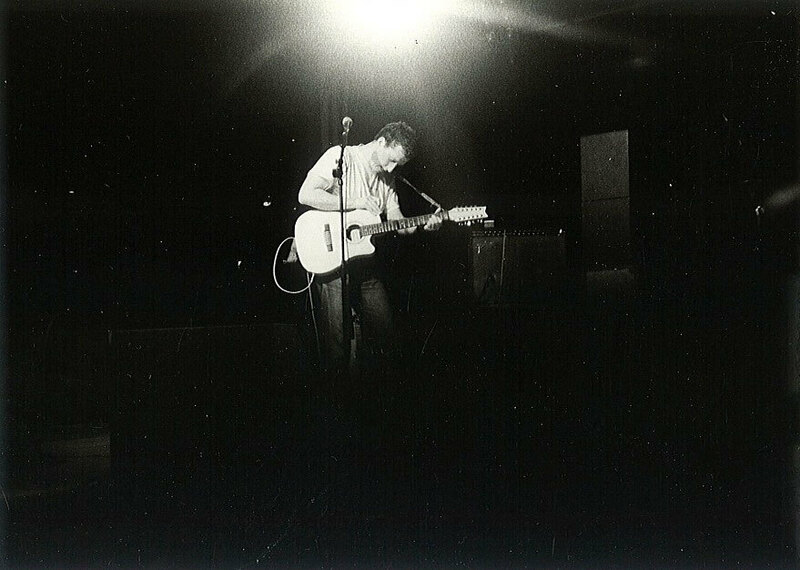 But first there was a run through New Zealand’s universities with Straitjacket Fits in February and early March 1990, where student radio and a new generation of indie fans swelled audiences. University weekly student newspapers were full of interviews with the group, mostly evangelical rants with the occasional piece of insight. Vehicle’s reception on release was extensive and positive. The British music press not only reviewed the record and The Clean’s supporting live performances, they made space for long interviews with the Kilgours and Scott. 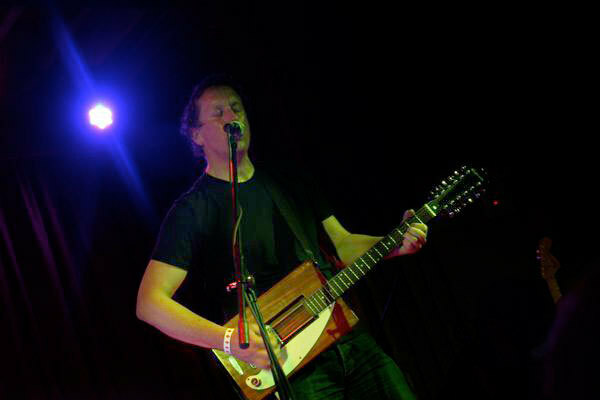 One reviewer heard “one finger solos which sometimes verge on a highland fling” and found in ‘The Blue’, the influence of Wire and The Go Betweens. It’s a revealing comment as Robert Scott and the Kilgour brothers all have immediate Celtic ancestry. In NME New Zealander David Swift was effusive, as was the New Zealand Herald. With memorable and enduring songs in Robert Scott’s ‘Dunes’ and ‘I Wait Around’ and David Kilgour’s ‘Drawing To a Whole’ and ‘Diamond Shine,’ they were right to be. The interviews are even more revealing. In an extensive and positive full-page interview in Melody Maker, The Clean claimed to have reformed to “destroy the myth of The Clean”. They preferred to engage directly with their fans. The tour that followed began in London on March 27, 1990 at Islington Powerhaus, before moving on to the Oxford Jericho Tavern in early April. Then it was on to Bedford Winkies, Brighton Richmond, Leeds Duchess of York, Hull’s Adelphi and back to London for a concert at the Subterranea. NME’s Andy Fyfe caught The Clean’s concluding London show. 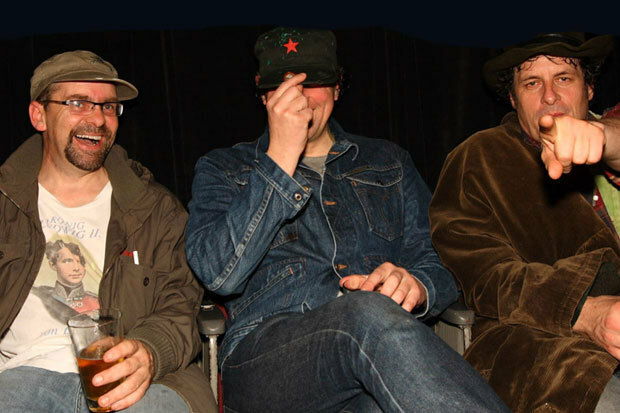 He described them as “the most consistently thrilling of any New Zealand act” while noting they were playing Vehicle alongside Clean classics ‘Caveman’ and ‘Point That Thing’. It was Europe next for a six-week long tour. Back in New Zealand, fans waited months for the new album to appear on Flying Nun Records, who entered a deal with Australia’s Mushroom Records, making Vehicle available in that country as well. I couldn’t wait and picked up the Rough Trade release at Sounds Unlimited in Newmarket, Auckland. Buying an imported record by a contemporary NZ act was a new experience, but it was the only way you could get records like Vehicle promptly. Many of NZ’s best indie records came via that route and were released only on overseas indie labels in the USA, Great Britain and Europe. When I took the album into Waikato University’s Contact FM, they carted (taped for airplay) the first two songs on side one without listening to the whole record. Typical. In time, Vehicle was cited as a major influence by some American indie bands. It’s an intriguing idea although it’s hard to quantify influence and its impact on the resulting output. 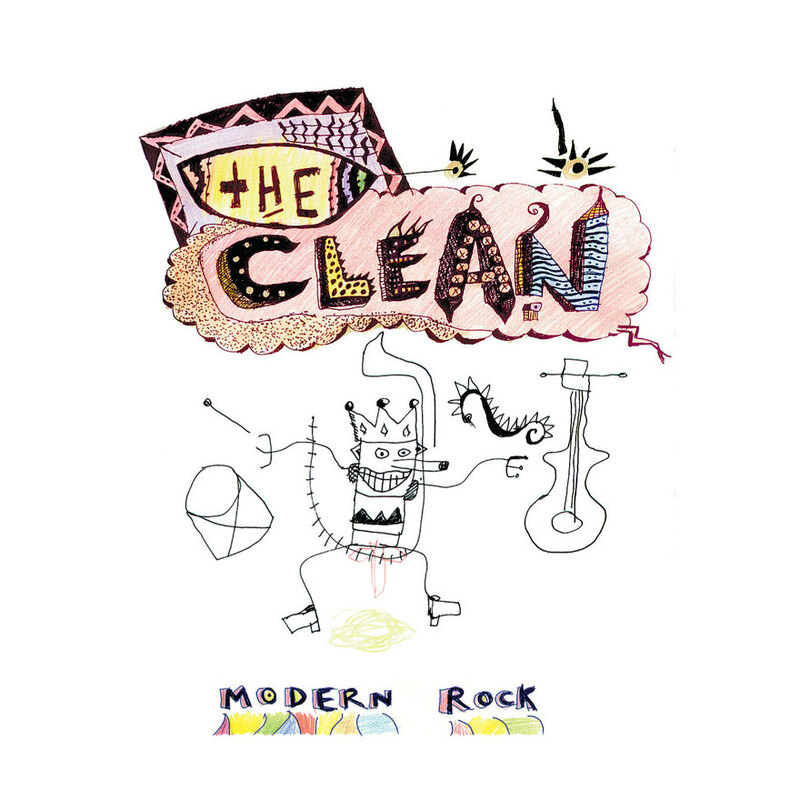 The Clean have certainly been mentioned by many groups over the years, including Pavement and Yo La Tengo, but that’s usually in a list of other perceived influences. USA College radio airplay would be a good indicator of the music’s reach, but access to playlists of the time is difficult if they have been kept at all. Strong and consistent coverage in the emerging indie publications provided the most tangible reflection of The Clean’s place in the new space that indie music opened up. There was one immediate response in the early 1990s – The Cleaned Out 7-inch EP and flexi single on New York’s Dark Beloved Cloud label was made available in 1992. Featuring a Hamish Kilgour-drawn picture sleeve, the compilation EP presents five New York groups covering early Clean perennials, including ‘Hold On To The Rail’ and ‘Tally Ho!’. When Vehicle was finally released in New Zealand in August 1990, it slipped into the lower reaches of the album chart for two weeks. Fans finally got a chance to celebrate The Clean’s triumphant return in October 1990 on a nationwide tour. The excursion started at Sammy’s in Dunedin on October 4 and took in all the main centres plus Palmerston North and Hamilton, before concluding with two nights at The Gluepot in Auckland. For the next four years, The Clean concentrated on personal projects. Robert Scott with The Bats along with solo and band side-projects. After dissolving his band Stephen in mid-1990, David Kilgour began his fruitful solo years. Hamish had Playground then The Mad Scene in New York. The expectation was that they’d be back when they were ready. It was April 1994 when that happened again. The trio retreated to a community hall in Hooper’s Inlet near Dunedin and recorded Modern Rock, their second standalone album. Joining them was Alan Starrett, who played dulcimer (hammer), cello, viola, mandolin and accordion on the recording. It’s a low key, lo-fi affair featuring strong songs in ‘Secret Place’ and ‘Too Much Violence’. The album poked its head into the New Zealand charts in October 1994. Modern Rock was also released in the United Kingdom on Flying Nun Records who were taking a final (but unsuccessful) crack at that market, and in the USA on Summershine Records. A non-album single, recorded in Dunedin’s Fish St studios, of ‘Late, Last Night’ and ‘Psychedelic Clown’, appeared on New York’s Dark Beloved Cloud later that year. 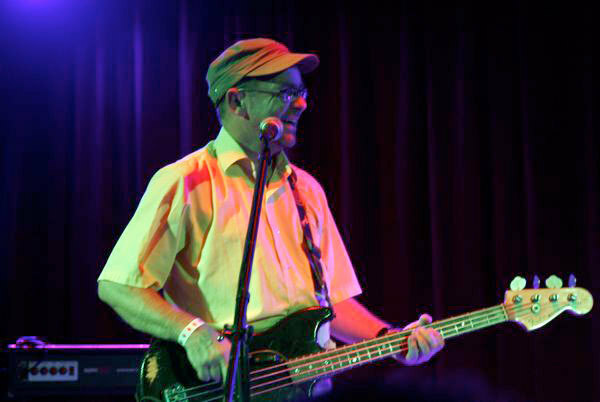 The following year, a festival appearance at Strawberry Fields near Raglan in February saw Martin Phillipps joining The Clean onstage, as he has often done over the years. 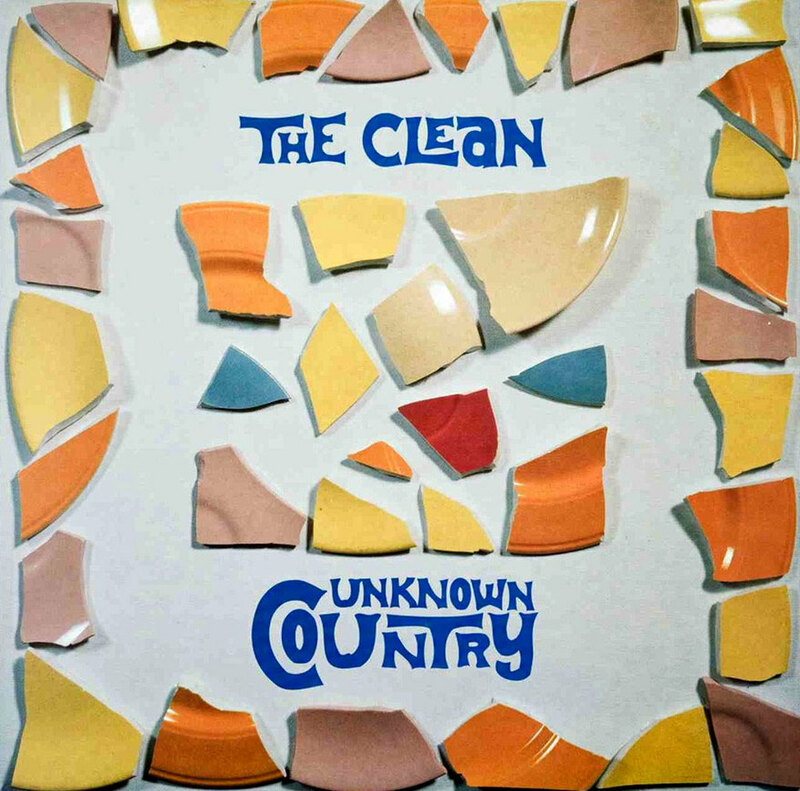 Unknown Country followed in 1996, having been recorded at Fish St studios in Dunedin in autumn 1995 with Starrett again contributing strongly, but Unknown Country is their least compelling album so far. Sifting through The Clean’s non-compilation albums is like sifting through garage punk compilations of old. There are real gems to be found such as ‘Stars’ and ‘Jala’ on Getaway (2001) released on Matador Records in Europe and Merge Records in the USA. Recorded following Hamish Kilgour’s trip home for the Dunedin Arts Festival, it sparked The Clean’s creative fire anew. Like all The Clean’s records, Getaway started in the practice room, with recording stretching over four studios. Fans Georgia Hubley and Ira Kaplan from Yo La Tengo contributed to two songs. An extensive American tour in support of what is The Clean’s most consistent album since Vehicle began in New York in early September 2001, a month forever linked with terrorist attacks on New York’s Twin Towers and on The Pentagon, which caused great loss of innocent life. The Clean entered the new millennium on the front foot. They had an ambitious and stable record company in Merge Records and a formidable live show capable of thrilling fans old and new. A NZ national tour in late 2000 nailed this home and was captured as Syd’s Pink Wiring System, a self-released live album that was issued to coincide with their 2003 USA tour. With yet more help from Martin Phillipps, it presents a selection of the best of the group’s songs in all their live glory from October and November dates at Dunedin’s Sammy’s and Arc Cafe. Particularly strong were the group’s acid instrumentals such as the new ‘Stars’, ‘Fish’ and old faithful, ‘Point That Thing’. In 2001, ‘Fish’ and ‘Quickstep’ bookended one of the rarest releases from the trio, Slush Fund (Arclife CD). The EP also features classic Clean songs 'Filling A Hole' and 'Caveman' alongside a startling piano-led take on ‘Point That Thing’ recorded live in Wellington’s Marmalade studios on February 28, 1999. With David Kilgour on piano and Robert Scott and Hamish toned down, it is a remarkable and dynamic revisiting which lacks none of the original’s ebb and flow power. ‘Point That Thing’ is a song that is often singled out for praise in reviews and a constant presence on many of the available live recordings of The Clean. You can hear an early version on Odditties 2 (1988) called ‘Point That Thing #3’, captured at Logan Park High School in Dunedin in 1979 and featuring the Kilgour, Kilgour, Peter Gutteridge (bass) and Lindsay Hooke (drums) line-up. The song’s rhythm and gait is there already, but not the full guitar voice. Odditties 1 (1983) finds The Clean experimenting with echo, repetition and reverb on a dub version of ‘Point That Thing’ taped in Selwyn College’s billiard and practice rooms in 1980. You can hear ‘Point That Thing’s’ influence in other NZ indie groups of the 1980s as well and more recently in Ghost Wave and Surf Friends. In much the same way as the ringing open chords of ‘Anything Could Happen’ enabled dozens of simple but catchy folk pop songs, the linear, ascending and descending single string notes, complemented by an open droning string sound above, inhabits many driving transcendent numbers. Direct covers of ‘Point That Thing’ also exist. HDU and Peter Gutteridge (in case you’ve forgotten one of the song’s composers) chipped in a take for the God Save The Clean (1998) compilation and US group Kinski altered very little for their Semaphore Sub Pop Records CD maxi-single take in 2002. An intriguing sampling of ‘Point That Thing’ by SJD for his Southern Light Pic n Mix version of ‘From A To B’ was remixed in 2005 by Greg Churchill, who clearly hears and utilises the danceable krautrock rhythm of the original. The remix appears on Churchill’s UK release It’s Only A Mixtape: Volume 1 (Ministry of Sound) in 2006. In compiling the best of The Clean’s early years on one CD and their later years on another for the popular Anthology (2003), Merge Records struck a rich vein of interest for The Clean in the United States. Their resurgence made them an enduring, financially viable touring act for the first time and set up the next phase of the trio’s long career. 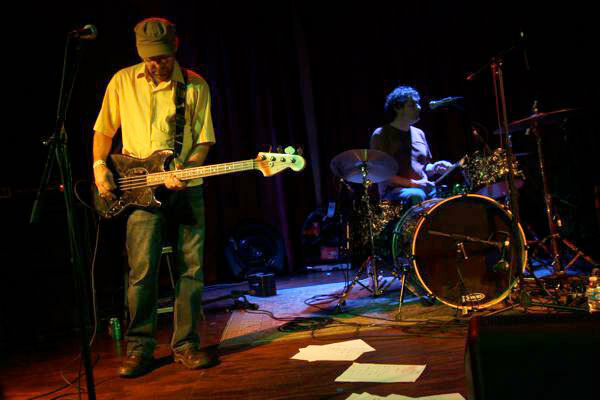 The Clean hit the highway in June 2003 for an extensive tour in support of Anthology, starting in New York at the famous avant-garde Knitting Factory venue. The tour took in Detroit, Chicago, Minneapolis, Denver, Seattle, Portand, Vancouver and the Fillmore in San Francisco, all cities with names that resonate in counter-culture and post-punk history. 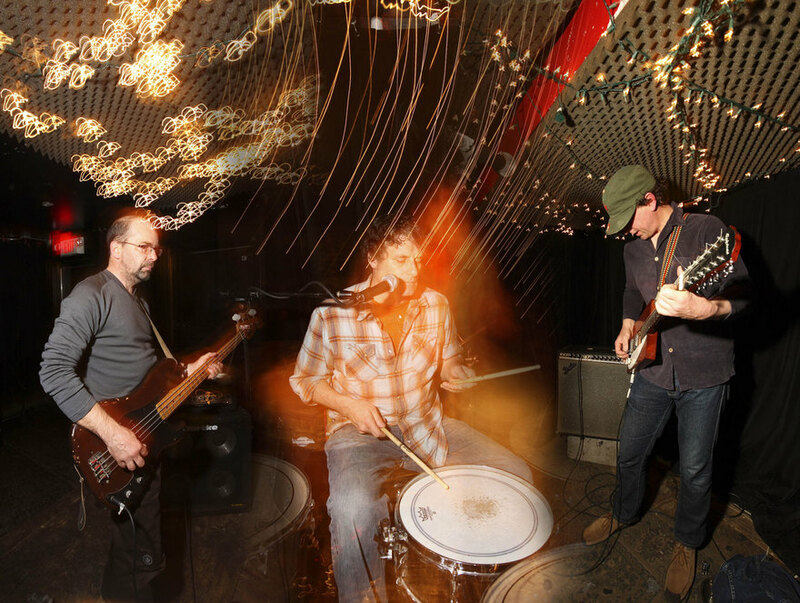 Hard on the heels of a David Kilgour solo tour in November 2007, The Clean returned to America for dates at New York’s Cakeshop and Other Music. 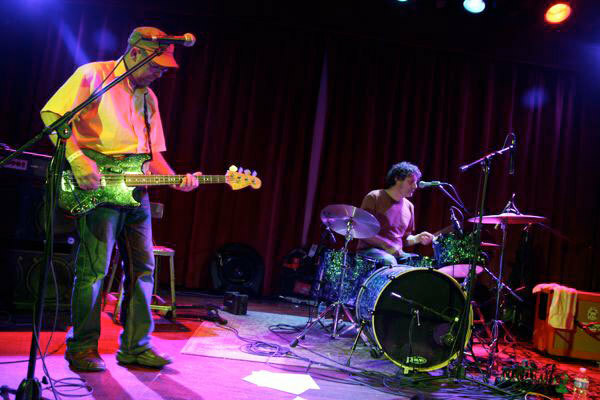 They headed down to Johnny Brenda’s in Philadelphia in December, before joining their friends Yo La Tengo at Maxwell’s in Hoboken. 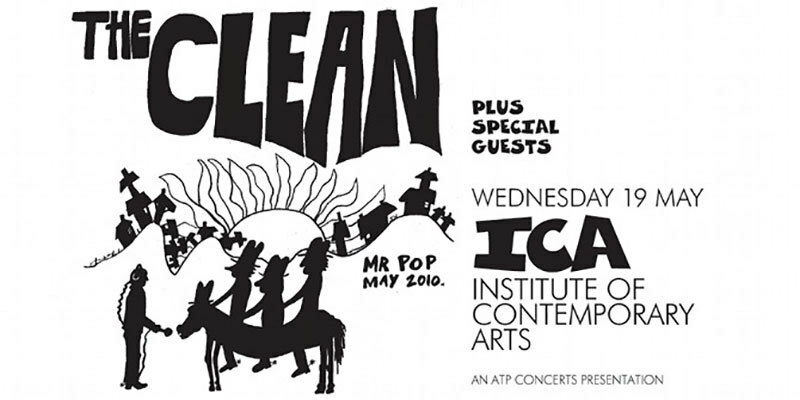 New Zealand had already seen The Clean in March 2007. After a tour opener in Wellington and a charity show in Auckland in support of an old fan’s son’s education, The Clean headed north to the idyllic Leigh Sawmill Cafe on March 18. 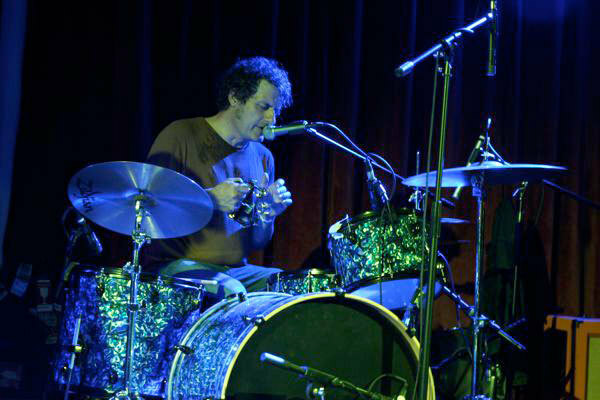 Hamish Kilgour, their pounding, motorik drummer, turned 50 a few days before, and that evening the crowd sung him a hearty ‘Happy Birthday’. Imagine that – half a century – 30 years since punk turned his head and he formed a ramshackle trio to play his and his brother David’s songs and sounds, a body of work that became one of New Zealand’s most loved. There’d be incendiary moments and unexpected high points in the night’s three-hour set, including bass player Robert Scott's ‘Dunes’ from Vehicle and a rave up Kilgour moment in ‘Billy Two’. Their two best albums – 2000’s Getaway and 1990’s Vehicle – got a good airing and the early Clean classics were all present. The opener, ‘Fish’ sparkled, then it was straight into ‘Drawing To A Whole’, their pop-folk side, launching a long set that trawled through one of the great New Zealand songbooks. There was a raw version of ‘I’m In Love With These Times’ (first recorded by Nelsh Bailter Space) that showed what the early punk Clean must have sounded like. Their first encore was The Velvet Underground’s VU nugget ‘I Can’t Stand It’ and The Rolling Stones’ ‘I'm Free’, both brilliant interpretations. David’s guitar playing on ‘I Can’t Stand It’ would have done Sterling Morrison and John Cale proud. More encores followed, ‘Beatnik’ included. The group were buoyant throughout, joking with the crowd and among themselves, as comfortable now being a great NZ rock group as their fans are having them as one. The Bangers and Mash tour concluded in late March with South Island shows in Oamaru, Dunedin, Christchurch and Lyttelton. The Clean head out to the world with some regularity now, having found an ongoing audience there, as David Kilgour predicted all those years ago they would. They were back in New York in May 2010, where Hamish still lives, for the Stroke benefit for Chris Knox and stayed on for a show with Dimmer at The Bell House in Brooklyn. Then it was back to England where they joined Pavement at the Brixton Academy. Pavement were in England as hosts of All Tomorrow’s Parties at Butlins in Minehead, where The Clean and The 3Ds were on the bill. The Spring Tour of Europe followed after a second ATP in Bristol and a night with Jowe Head at London’s Institute of Contemporary Arts. After the Paradiso in Amsterdam, Hamburg, Berlin, Leipzig, Hasselt and Paris, The Clean finished up at Primavera Sound Festival in Barcelona. In September 2010, The Clean reconvened in Melbourne then jumped the Pacific to Los Angeles on a tour taking in Seattle, New York, New Jersey, Chicago, the Scion Garage Fest, San Francisco and Portland. The following year in March they were in Sydney, Fortitude Valley, Queensland and Melbourne and played a spot at the Golden Plains Festival in Victoria. Back home in New Zealand, The Clean were onstage at The Big Day Out in Auckland in 2008. A new album, Mister Pop, released on Arch Hill, Merge and Morr Music (Europe), was recorded in Dunedin in early 2009 and issued later that year, housed in a lurid green paisley sleeve. 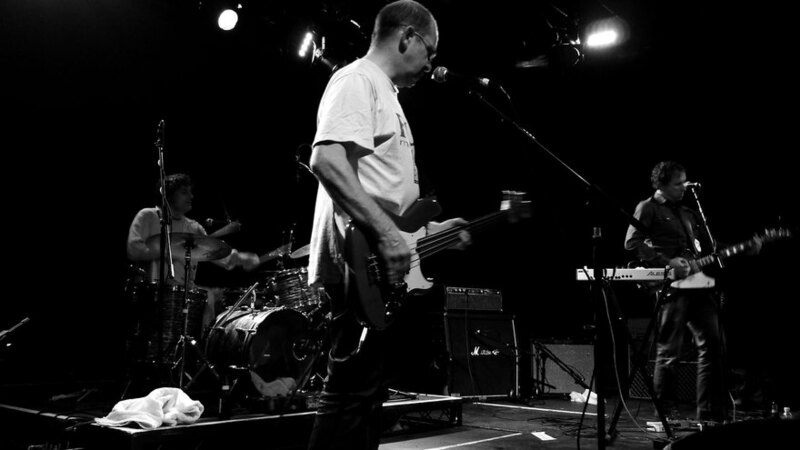 In 2011, The Clean were part of Flying Nun Records 30th anniversary celebrations, although they wisely stuck with Arch Hill Records as their NZ label. The Clean’s music continues to be reissued, with Odditties getting a double LP vinyl release in 2012, and the album that started the second leg of their journey, Vehicle, available again in 2013. It has a double gatefold sleeve this time around and extensive liner notes from the group, including David Kilgour’s hash-flavoured memories. All wrapped in his vivid yellow and cream cover painting of a primitive guitar that has the texture of peeling paint on a barn wall. And so it goes. What are the chances they’ll take some time to record again? Good, I think. For part one of The Clean story please go here.